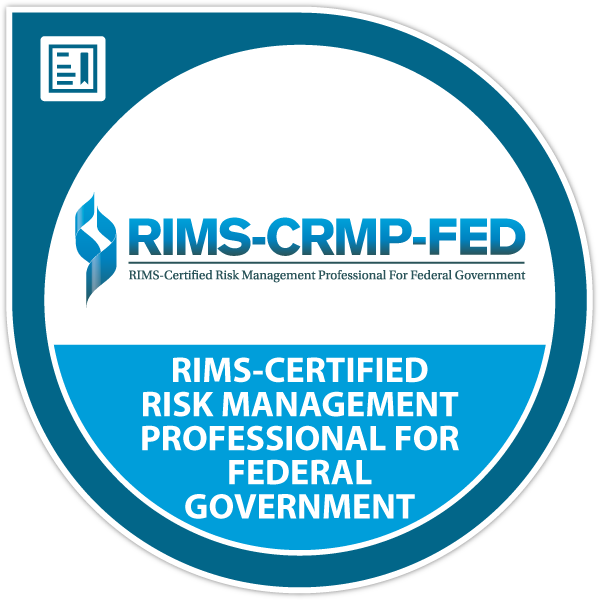 Earners of the RIMS-Certified Risk Management Professional for Federal Government (RIMS-CRMP-FED) have demonstrated knowledge and competency in the area of risk management and a commitment to quality. It verifies the achievement of a high level of expertise, education and experience required to successfully manage risk and support decision making. ​A risk management professional supports the organization to leverage the opportunities and uncertainties associated with its goals and objectives.